At a time of immense environmental and ecological challenge, it is essential that the world’s faith traditions engage more fully in what we may call planetary awareness and action. 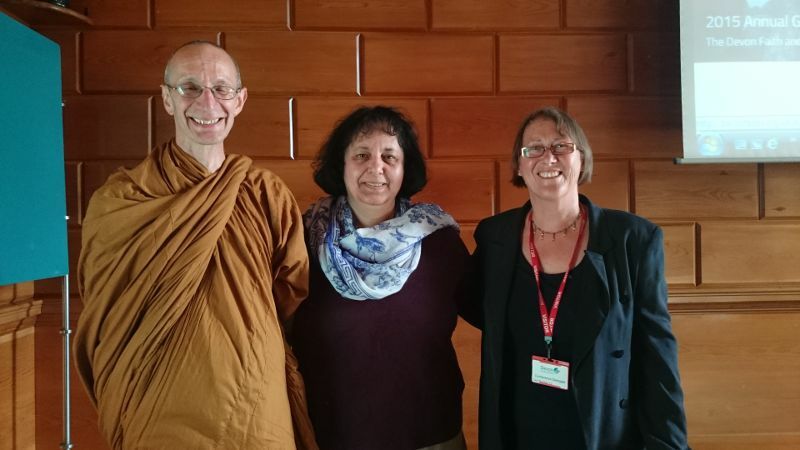 On 1st November 2015, Devon Earth and Faith Network held a wonderful day of exploration and inspiration, led by Sandhya Dave and Martyn Goss, with Satish Kumar as the main speaker. I hope that this significant anniversary will serve as a chance for everyone to remember once again the earnest message of the hibakusha, the surviving victims of the atomic bombings of Hiroshima and Nagasaki, a Japanese word that literally translates as “explosion-affected people”, that “no one else should ever suffer as we did”, and also renew our commitment to realize a peaceful world free from nuclear weapons. Today, in the arsenals of the nuclear powers, there are bombs which are 20 megatons and more, that is to say that each one has an explosive power more than 1,000 times than that of the Hiroshima bomb. We look forward to the day when every country will be free from nuclear weapons, with all living in peace, prosperity, and tolerance. Places limited. Please book with Joanie Harris. Tel: 01392-294940 / joanie@exeter.anglican.org. Details will follow. If a serious accident, natural disaster or attack were to happen in Devon, Plymouth or Torbay, the members of the Devon Faith Response Team would work alongside the emergency services and other agencies to provide support for victims and their families and loved ones. 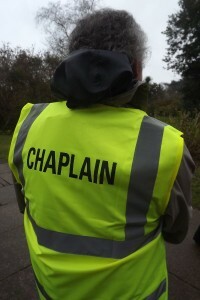 The Devon Faiths Response Team (DFRT) holds regular training workshops, with sessions led by various blue light services, HM Coroner and trauma specialists, and contributions from members of the faith communities. 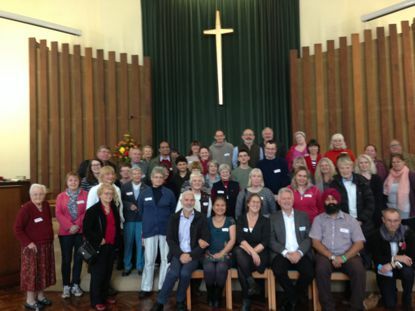 More than 70 volunteers from 7 different churches and 6 other faith and belief traditions have now been trained, but the DFRT continues to look for new volunteers and welcomes enquiries from interested people who are members of local churches and other faith communities. The next training day will be held on 4 September 2015 at Windsor House, Tavistock Road, Plymouth. If you are interested, please contact Maia Miller on maiamessenger@yahoo.com. Next week sees the marking of ten years since the 7/7 bombings in London. This is the anniversary of a profoundly disturbing moment in our recent history in the UK. As that anniversary approaches, many will be gathering to remember those who died and pray for understanding, justice and peace. On Friday, many British people were among those who met an appalling death in Tunisia, with others left seriously injured. Our thoughts and prayers are with them and their families and friends. These attacks have in common with the murders of 7/7, the attempted justification of appalling acts in the name of Islam by their perpetrators. Despite their condemnation by Muslim organisations and individuals, this is an anxious time for many in the UK – not just because of the impact of overseas events on inter faith relations here but also because of the wider issues of extremism and radicalisation. It is not just Muslims who suffer the impact of hatred and ignorance. Last week white supremacist Zack Davies was convicted of attempting to murder Dr Sarandev Bhambra of the Sikh community in Mold last year. And this coming weekend, a neo-Nazi rally is planned in Golders Green, on the Sabbath, in one of the areas with a very large Jewish community. Inter faith initiatives at every level have an important role to play in offering reassurance and friendship at times of anxiety and solidarity where people feel under threat, in sustaining dialogue and also enabling discussions about the tough issues we face. A one-day national meeting for local inter faith groups is being held on 30 July in London by IFN, following a similar day in Sheffield earlier this year. Responding to extreme voices will be among the topics. But so, too, will faith trails, working with local government, religious literacy, developing successful inter faith programmes and many other topics. That is a reminder that inter faith engagement is not just about responding to tension and difficulty or solidarity – vital though this is. It is also about continuing to plan, vision and act for a harmonious and peaceful present and future in the UK. 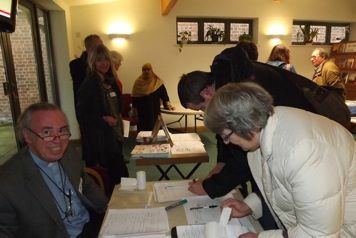 City of Sanctuary initiative began in Exeter at our 2012 Interfaith Week celebration. 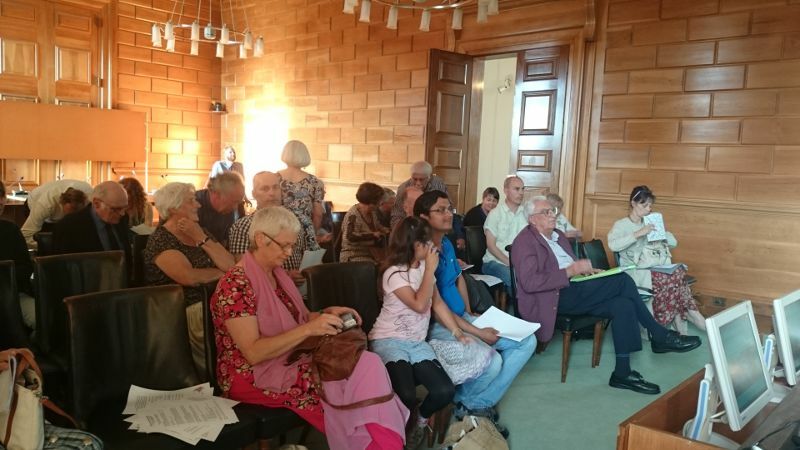 This has been taken up by a group from the university in association with Refugee Support Devon based in Exeter which organised a very informative lecture series earlier in 2015.
exeter.cityofsanctuary.org and the national organisation at cityofsanctuary.org. 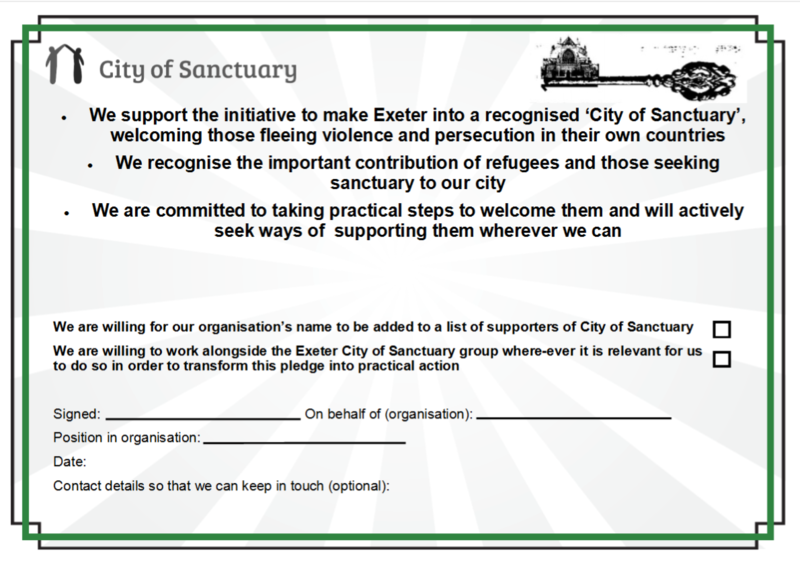 Exeter City of Sanctuary (ECOS) now seeks to consolidate the goodwill shown and asks that members from various sectors of Exeter life sign the pledge below. Formal support for ECOS is now sought from the various faith groups in the city. You are invited to draw attention to the pledge in your respective communities and asked that the pledge be signed by the appropriate authority on behalf of that community, preferably with a realistic suggestion of what practical actions could be taken in realising that pledge. Pledges from individuals are also welcome. Please then either email them to Emma at info@exeter.cityofsanctuary.org or post to Exeter City of Sanctuary, Exeter Community Centre, 17 St Davids Hill, Exeter EX4 3RG.